Dear Friends, I came across this message in my file, and in view of the period of change we have just entered it is now more relevant than ever, by giving us a clear view of what to expect in the near future. ANDROMEDAN COUNCIL 27 NOVEMBER 2011. Questions put to the Andromedan Council. How will Earth people change as we become new 4D humans? ANSWER: the most important thing to realise is that the transformation, the transition from 3D to 4D, from being a 3D person to a 4D person will be a smooth, “seamless”, “painless” process. This experience will be a simple transformation of cellular structure, from the slower, more dense, heavier existing 3D vibratory body you have today. – to a higher, faster, lighter 4D vibratory rate. You will have a body that is taller, literally lighter in terms of mass, weight and density, about one tenth of what you weigh now. Keep in mind your body’s molecular cellular structure will actually change. Think crystal based molecules. Your existing 3D cell walls will transmute into being crystalline based. 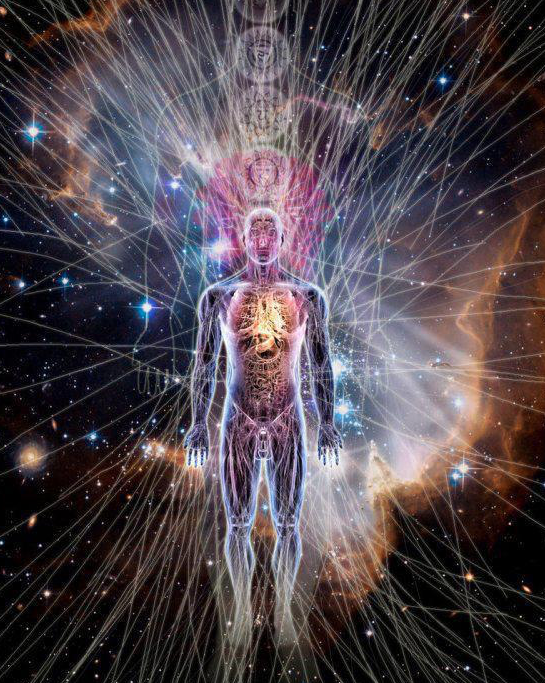 Your 4D body will be based on crystalline molecules, no longer carbon based, but crystal based. Within the core, the centre of each cell, it will be infused with light. Your 4D bodies will really be very translucent. This is a natural 4th dimensional, 4th density state. Everyone will be relatively tall and slim in stature. This is simply the nature of having a crystalline cellular structure. You will also be “lighter” in terms of being infused with light, not opaque as you are like today, not completely translucent, but very translucent. Your children will transform as well. But in terms of age appearance they will continue to develop as young adults, only now along the adjusted, normal, “time line” of thousands of years for 4th dimensional people. For most adults who chose to remain on Earth during this time of change, you will look approximately in the 32 to 35 year old age range. In terms of height, for a comparison, an average 3D male will be about 7ft. tall, this is the average height for a 4D man. A 5’ 5” to 5’ 6” 3D Earth woman will likely be about 6’ 2” living a 4D life. An average 4D Earth man will weigh in Earth terms about: 10 to 15 pounds. An average 4D Earth woman will weigh about: 5 to 7 pounds. Everyone will be relatively trim, tall, slim in stature. Again this is due to the nature of having a body composed of a crystalline cellular structure. In terms of overall health, 4D Earth humans will be healthy, very healthy, full of light. With your solar system and Earth’s migration into the 4th dimension zone of space, 3D diseases will all be literally eradicated. If we are this healthy, and with the eradication of 3D Earth diseases, how long will we live as 4D Earth humans? ANSWER: You will like this answer. Typically, as you currently measure time on Earth, human beings living a 4D life spend a minimum of 6000 years – to - a maximum of 10,000 years, living a 4th dimensional life. Also understand, that there are 12 octaves of awareness and learning in each dimension, from the 4D fourth dimension on up. There is a lot to experience. Please keep in mind the use of these numbers in years, is to give you an approximation based on how Earth people measure time today. However, also keep in mind the way you currently measure time on Earth – this will change once Earth becomes a completely 4D planet. Watching, measuring, experiencing time – this will virtually go away. . In any case, you will live very, very long lives before you move on to the 5D, 5th dimension. The plan for this to completely come into effect was originally by the 20th January 2014. We understand the complete curing of physical health. But again, what about people with autism, retardation, syndromes, people who are mentally ill? ANSWER: I certainly understand the seriousness of this issue. The “medical/healthcare team on the primary biosphere who will help, assist and counsel people who are having a difficult time adjusting to the differences of 4th dimensional life, and in addition what we would consider either severe psychiatric, deep emotional issues, shock or trauma, or people with autism, retardation, syndromes, varying degrees of mental illness, people with these afflictions who you are rightfully concerned about, they have the ability to choose (or a responsible party can choose for them), to heal their fine matter consciousness, this thing we call “the mind” where these issues are lodged. Please understand this is literally a spiritual vibratory issue, and the “medical/healthcare” team on the primary biosphere, or any of the other 11 Andromeda Council flagged biospheres stationed in Earth’s solar system, these teams can use various resonating sonic frequencies and techniques to attenuate, adjust and correct the “dysfunctions” and repair the broken pathways of the fine matter “wiring” of these people’s minds. There are a variety of modalities that can be used in combination to help cure these people. They are curable. It will take some counseling, a little extra care and gentle attention after the “medical” work, the attunements are done and completed. These people, like everyone else, will be fine. If our current bodies are transforming into new 4D bodies, and you have said that 3D Earth diseases will be eradicated, what about those of us with bad or missing teeth, various syndromes, muscular dystrophy, ALS, cerebral palsy, or those people with mental illness, those of us who are back from the various Gulf Wars and Afghanistan with missing hands, fingers, arms, legs. What about all of us? ANSWER: From the Chief Medical Officer of the Andromeda Council biosphere she says “Many people have asked this kind of question. Yes, transformation of your 3D body into a 4D body will eradicate the existing illnesses and all diseases, and your bodies including birth defects, various syndromes, your loss of limbs, bad or missing teeth, malfunctioning hearing or defective eyes, and old age – all of these will all be remedied. Again, remember you are being transformed. You will have a full, complete, healthy body. What do you mean we move on to the 5D, onto the fifth dimension – when do we die? ANSWER: No, no ,you misunderstand. That’s the point. You don’t die. Remember, time doesn’t exist from the 4D, fourth dimension on upwards. You don’t experience time. And people, Earth people living a 4D life do not die. A person can choose by really extraordinary circumstances to be “extinguished” but this is very, very rare. When a 4D person gets to the point when he or she is 6,000 – 10,000 years old, when he or she feels they have learned enough and contributed enough to society, when the moment is right for them, they simply choose to move on, and transition to 5D, the fifth dimension, a slightly higher frequency of vibratory awareness. For a new set of challenges, a new set of learning experiences. It is a transition, a change in vibration. This transition from 4D, the fourth, to 5D, the fifth, is simply about moving into a higher vibration and capabilities – when the moment is right for him/her. Further, the actual capabilities one has once he/she becomes a 5D, a fifth dimensional human, are only a couple of degrees enhanced above the upper capabilities of the 4D, the fourth dimension. In any case, moving on from one dimension to the next is only about having many experiences, learning many, many things and then making a simple choice to move on, to change. You do not die - I repeat “you do not die” but experience a transition to a new lighter body. I feel quite excited at the thought of the changes that are coming. Ill health and death will be eliminated and we will enjoy all of the benefits that a New Age can bring us. The Andromedans are one of the four main groups of Extraterrestrials that are closely connected to us and our development. It is very uplifting to know that our future path is already in place. It may be a way off now, but it is waiting for our arrival. The Light on Earth is increasing and drawing away from all that is of the lower vibrations. Think positively and help manifest the higher vibrations and our peaceful future as quick as possible.